Ce document au format PDF 1.5 a été généré par Acrobat PDFMaker 6.0 for Word / Acrobat Distiller 6.0.1 (Windows), et a été envoyé sur fichier-pdf.fr le 21/11/2014 à 09:42, depuis l'adresse IP 193.95.x.x. La présente page de téléchargement du fichier a été vue 360 fois. Taille du document: 342 Ko (40 pages). been a contributory factor in facilitating these developments. untoward or unacceptable environmental or health consequences. established expertise in these new areas in order to facilitate registration. considering widespread use in the environment of a novel chemical molecule. to some other groups of pathogens (Hokkanen and Hajek, 2003). to be a severe and unnecessary impediment to biopesticide development (Blum, 2002). lack the financial resources of the multinational chemical companies (Jarvis, 2001). time and cost of biopesticide registration. institutions (KARI and CAB International Africa Regional Centre) are experienced. before any products were developed (Jones et al., 1998). sector biopesticides research and began to develop new products (Kennedy et al., 1999). and parasitoids (Puri et al., 1997). 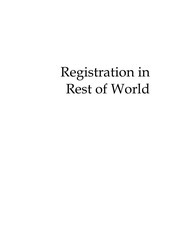 upon a small fee with two years to build the registration dossier (Pawar, 2001). Dossiers for NPVs were simplified for easy approval and for faster comercialization. manufacturers’ associations, academic scientists and regulators to finalize details. cotton, vegetables and fruit increasingly expensive and uncertain (Jones et al., 1993). chemical overuse and abuse (Harris, 2000). development was carried out in universities and the Department of Agriculture (DoA). pilot Bt plant was built in Cheng Mai. (enumeration, bioassay, DNA, analyses for microbial contamination). for excessive additional expenditure on preparing dossiers. are not toxic or pathogenic to non-target organisms (Copping, 1998; OECD, 2002). development of new, locally produced biopesticides is not to be discouraged. registration of a range of new biopesticides. development without risk to their peoples or environment. Regional harmonization of registration procedures. registration costs of biopesticides by reducing unnecessary testing. more extensive, expensive chronic and reproductive toxicity tests needed. process, is an attractive feature to companies developing new products. Series No. 1. CABI Publishing,Wallingford, UK. Insecticides. Kluwer Academic Publishers, Dordrecht, the Netherlands. 272 pp. Publications Ltd., London. 97 pp. Jayanth, K.P. and Manjunath, T.M. 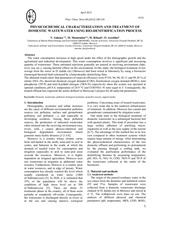 (2000) Commercial production of biocontrol agents. pp. 201–211. In: Augmentative Biocontrol. Proceedings of ICAR–CABI Workshop. of Micro-organisms. D.G. Jones (Ed.) Chapman and Hall, London, UK. Management. F.R. Hunter-Fuijita, P.F. Entwistle H.F. Evans and N.E. Crook (Eds). insecticides. pp. 170–174. In: Biopesticides and Insect Pest Management. S.
Ignacimuthu and Alok Sen (Eds). 262 pp. Pathology. Kluwer Academic Publishers, Dordrecht, the Netherlands. 911 pp. Press, Boca Raton, Florida, USA. 2000. Kenya Agricultural Research Institute, Nairobi, Kenya. Economic Cooperation and Development, Paris, France. Ogutu, W.O., Ogol., C.K.P.O., Oduor, G.I., Parnell, M., Miano, D.W. and Grzywacz, D.
October 2002, Montpellier, France. 8 pp. Pawar, A.D. (2001) Procedures for registration of biopesticides – an Indian perspective. pp. 191–200. In: Augmentative Biocontrol. Proceedings of ICAR–CABI Workshop. Centre for Integrated Pest Management, ICAR, New Delhi. 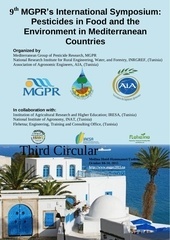 Resources Institute, University of Greenwich, Chatham, UK. 100 pp. are the modalities for Thailand and Indian case studies? researcher an agreed percentage of the selling price of the product. EU and also likely to be favoured by aid donors in future. and Development (OECD)1 on behalf of its broader range of member countries. revision of the parent legislation. List of OECD countries is in Annex 1 at the end of the paper. viruses on the other (Part B). under discussion for future amendments of the Directive. emphasize the expertise required by both applicants and assessors. documents are justified for biological products. The positive decision is published in the Official Journal of the EC. Annex C – confidential information. Who considers the Draft Assessment Report? Facilitates efficient use of resources. Compartments and Non-Target species; Efficacy. complementary skills and apply common principles. less costly than for traditional chemical pesticides. under stage 4 of the review programme. dossiers will also be needed in 2005 for all existing active substances. What is the cost of registration in EU? areas, often with an on-site farm shop selling fresh vegetables to the local community. does not meet the demand, both in quantity and quality. processes used in Cuba are outlined in this paper. (bacteria, algae, fungi, viruses and protozoa), which are the subject of these guidelines. noxious to humans, is ensured. field testing is underway with support from the European Commission. registration of a biological pesticide in accordance with current Cuban legislation. steps required for obtaining the corresponding licences and permits. Resolution No 76 Regulations for granting Biological Safety Authorizations, 2000.
and use of, any pesticide formulation that is not registered. and export of materials under quarantine (amongst them, biological pesticides). responsible for the accreditation of laboratories for toxicological trials. the institutions above will be involved in each of these. will then choose one of these institutions to carry out the trials. Register of Pesticides for the Register's Advisory Committee's final evaluation. the application must also include the official registration application as an annex. There may be some variations between the legislation of different countries. cosmetic products, food additives, veterinary drugs or industrial chemical products. recommending, or not, that a Certificate of Accredited Laboratory is issued. Agriculture Organization of the United Nations, Rome, Italy. Test Guidelines. Environmental Protection Agency, Washington DC, USA. Procedures and applicable criteria for the identification of the organism (e.g. any impurities or foreign organisms. 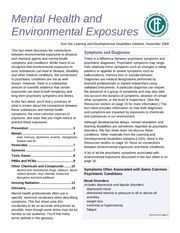 method; effect of temperature, exposure to environmental radiation, etc. Mechanisms to avoid the loss of virulence in the original culture. the organism, as well as in case of fire. animal tissues, soil, water and air, where applicable. Procedures for cleaning application equipment. including a description of the metabolic paths. 6.4.1. Toxicity and/or acute pathogenicity and infectivity. Acute toxicity on other non-target organisms that could be affected. environmental niches and organisms affected. the pesticides are to be exported. Description and geographical location of the release area. Experimental design. Distance between the release site and water for human consumption. Procedures to prevent other organisms entering the site. accredited). Safety conditions in these facilities. Mitigation measures, decontamination and recovery. Characteristics of the area: slopes, vegetation cover, run-off. Safety Commission of the applicant organization. contamination, transmission route and incubation period. Data on the ventilation and cooling/heating systems. Treatment of hazardous biological residues. are, or will be, implemented. Certification of the equipment employed to carry out verification tests. An original and a copy must be submitted. Name of the project or activity. Name of the applicant, nationality, address, and telephone and fax numbers. Name of the project or activity leader. Office (of the corresponding Province) must be enclosed when relevant. possible that these may be one point. affect health, education and traditional lifestyles. 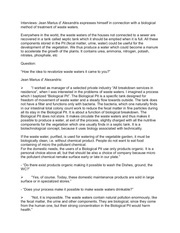 (subterraneous and surface) and sea water, soils and biome. and the source of this water. operations, storage and handling of these products or residues must be given. identification of the impact of residues. be taken on decommissioning or closure of the project must also be discussed. effects persist once the activities which have generated them have ceased. the Environmental Inspection and Control Centre. Resources, measures, periodicity, responsibility and budget. which it was isolated or obtained. the source from which it was obtained. It is not expensive, NOT like the European Union cost approx. 10,000 pesos. long as the toxicological data from Cuba are freely available. provided in Annexes 1, 2 and 3. Research and Technology, Dr Ephraim Mukisira. farm inputs, pests and diseases. there is increasing pressure on the available arable land. effective management of these new products. Ce fichier a été mis en ligne par un utilisateur du site. Identifiant unique du document: 00281370.